Girls mistake budding breasts for cancerous lumps… what is going on? A BreastCancer.org[i] study showing that 30% of girls as young as eight were scared their budding breasts were cancerous lumps was presented at a recent Foundational Breast Care talk in London. 26% of the girls surveyed said that despite their age they feared developing breast cancer. Some girls thought the signs of normal breast development were signs of breast cancer. Most (73%) of the girls knew a woman diagnosed with breast cancer, often a friend's mother. 3% of the girls had mothers diagnosed with breast cancer. More than 3% of the girls thought breast cancer was common in teen girls. In reality, breast cancer is rarely diagnosed in adolescence and early adulthood. 79% of the girls thought breast cancer was common among women their mothers' age and most of the girls worried that their mothers would develop breast cancer. 49% of the girls thought that breast cancer was common among women their grandmothers' age. In reality, average breast cancer risk over a woman's lifetime is about 12% -- about 1 in 8 women. When I was growing up I didn't know of anyone’s mum having breast cancer. I didn’t think of my breasts as dangerous cancer growing things. I remember vividly being deeply embarrassed by my budding breasts, hating that my T-shirts looked weird and wishing that I wasn’t in my body anymore, which unfortunately was a rather common experience for me. So while I wasn’t afraid of cancer I certainly did not have a good relationship or appreciation for my breasts and I know I was not alone. Why do so many women have disdain for their breasts? Is it just the many magazine images of plastic breasts that make us feel that we don’t measure up, or is it actually deeper than that? As philosopher Serge Benhayon notes, the breasts can emanate the ‘light’ or quality of nurturing. They epitomise the deep nurturing characteristic of women. But if we don’t nurture ourselves, how can our breasts possibly emanate that nurturing quality? And if we are not nurturing ourselves, wouldn’t it follow that we would start to feel as though we didn’t like our breasts? How far have we travelled from the essence of our breasts and their purpose? To be totally divorced from the fact that our breasts are nurturing centres that can emanate the love and divinity innate to us, is a wakeup call to us as women. It suggests that we are living in a way that no longer shows an emanation of love and divinity in the body to our young girls, but in fact the only emanation they are receiving is one of fear of the breasts being cancerous and them being removed. What the presenters at the Foundational Breast Care talk were sharing was that the quality of our livingness will determine how we feel about our breasts and what kind of care we take of them and the rest of our bodies. Whilst we solely focus on reducing the risks of getting cancer through not drinking, exercising and reducing stress, we are never going to appreciate the epigenetic causes of cancer: epigenetics being how we interact with our environment, our perceptions and emotions, and how this factors in whether our cells can mutate to cancerous lumps and growths. This is somewhat of a revelation when you really consider what is being shared: for so long we have swallowed the false belief that it was bad genes, that cancer is just the luck of the draw – but with the development of the epigenetic studies it has shown that the environment and how we live impacts our cells. As women, we tend to be living in drive, in motion, in a desire to be better than everyone else, to be perfect and all of this is against the flow of our natural expression of stillness. This does not mean we stand still but rather that we have a connection to our stillness and then we move to the activity of living. We currently have a lot of motion without the quality of stillness. Our young girls are showing us this is what they feel as they are in fear of their breasts. Fear is present when there is an absence of connection and holding of love in our bodies. "The breasts cannot emanate the 'light of nurturing' if the woman is not self-nurturing. As a result of our women having to resort to a more male stimulated energy to get through what is demanded of them, and having to assume a more male driven energy to simply win back some form of equality in society, they have lost their inner-instincts to self-nurture – thus the lack of true self-nurturing that now prevails in our world. If energetic truth is understood, it is not only the women who get directly affected by this ill way of being, but we all do as a result of the lack of this light being there, impulsing and inspiring us to be more self-loving." Natalie Benhayon has deepened women’s awareness and understanding of how we are living and shows how it is to be living as a woman in stillness. What this woman has achieved in the world stakes is testament that there is no standing still with stillness! The ‘Our Cycles’ app is one such activity that Natalie Benhayon has released to support women and men to connect to the divinity of cycles to do with the Full moon or with menstruation. 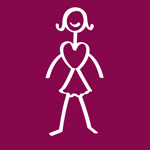 So many women report feeling supported to reconnect and the positive impact this has on their relationship with themselves and their bodies, then with their relationships with others around them. When we connect to the love we are and initiate that with ourselves and then others, the ripple effect of this is enormous – even though this quality of love cannot be seen, its emanation is most certainly felt. As an example of what is possible and very tangible as an exercise, I set myself a task of initiating love with my partner and child on returning home from work... the very first task, so not even putting my keys down! They did not know I was on this mini-programme but what transpired blew me away: there was no mess in the house, particularly in our bedrooms, no clothes on the floor for the next day, just clear space, normally by Friday my daughter’s room would be quite untidy and need a Saturday morning clean up, the first week there was literally nothing to do but put things back in some order – the following week it was the same. I found this incredible and it showed the power we hold within ourselves to influence those in our lives, and beyond. This is the emanation that we can live and walk with, and when we do, the way we feel about ourselves and our breasts, the nurturing centres of our body, only improves. Women have an amazing ability to influence the environment around them and are very much the role models for the young women and young girls when it comes to broadening their current thinking that budding breasts could be cancerous lumps. What are we emanating and what support can we give to ensure that we start to love ourselves and care for ourselves so that our breasts emanate this activity of love and not the disharmony that can contribute to breast cancer? The first steps are not always that big. Sometimes it is, as it was for myself, starting to do one thing that my body loved... for me it was using a hot facecloth every night before bed – you know that lovely really hot facecloth that we’re given on plane journeys and when you put it on your face your whole body feels yummy. That was what I started with and the impact was quite magical from just that one small daily act of self-care and attention.